Doctor Strange 2 is (pretty much) official, but is still a few years away - now, where's my Time Stone? Just when can we expect the Sorcerer Supreme's return? The Sorcerer Supreme is back. Well, not yet. There is, of course, the small matter of what went down in Avengers: Infinity War to be cleared away but, beyond that, Doctor Strange 2 is now a very real thing. Kevin Feige has confirmed as much in a recent interview, but when can we expect Stephen Strange’s sophomore standalone to hit cinemas? When asked by CinemaBlend about the MCU’s penchant for having superheroes take on supporting roles in other characters’ movies, Feige replied: “Sometimes it's where do those characters pop up? [Doctor] Strange, you know, whenever we do another Strange one, which we will do, it will be a number of years from the first Strange, and yet he's a very big part of Avengers: Infinity War"
Good old Kevin Feige. He’s offering an answer to one question and, all of a sudden, drops a bombshell like that. He loves playing us like a damn fiddle. Speaking of Infinity War, that means (spoiler alert… I guess?) 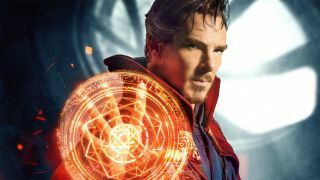 Benedict Cumberbatch will survive post-Avengers 4 and make his way out of the dust-based predicament he finds himself in towards an eventual release of Doctor Strange 2. The first Doctor Strange has already set up the turn of Mordo and, you’d imagine, that should be a path that’s open to Marvel should they want to go down that road. That’s all still a long way off, though. Judging by Feige’s reference to a “number of years” after 2016’s Doctor Strange, I think we can expect it by 2020 at the absolute earliest. The current stack of new Marvel movies may soon be shifting, but are well worth checking out for the time being.